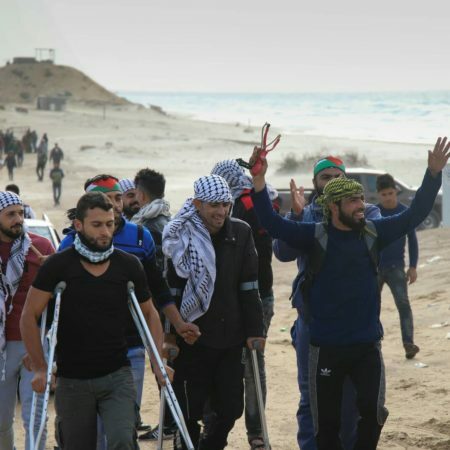 The Israeli navy, with battleships stationed just off the coast of the Gaza Strip, fired live bullets, tear gas and rubber-coated steel bullets at protesters who, for the 20th straight Monday, gathered on the beach and set off in small fishing boats with flags and signs to challenge the Israeli naval blockade. The Palestinian Health Ministry reported that at least 22 Palestinians were injured in the assault on the non-violent protest. No Israelis were injured – nor could they have been, because they were firing from naval battleships at a distance of several kilometers toward fishing boats carrying unarmed protesters. Of the wounded, 3 were hit with live bullets and 19 with rubber-coated steel bullets. 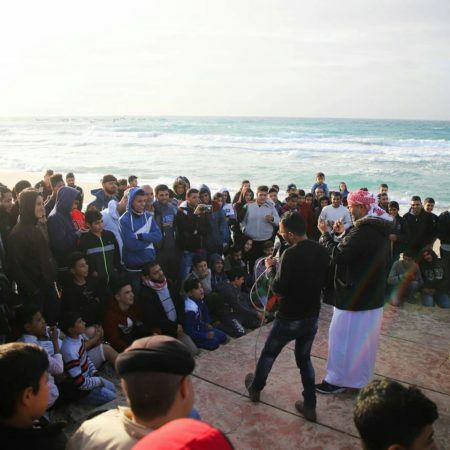 The protest took place on Monday afternoon, with hundreds of Palestinians gathering at the northernmost beach of the Gaza Strip and chanting for an end to the Israeli occupation and siege on Gaza’s air, land and sea. They then got into about twenty fishing boats and continued chanting and singing as they attempted to break the Israeli naval siege. The Israeli siege on Gaza has been ongoing since 2007, causing severe hardship, the collapse of the Gazan economy, and unemployment rates nearing 80%.